Baby Teeth Coming In Crooked? What Should We Do? 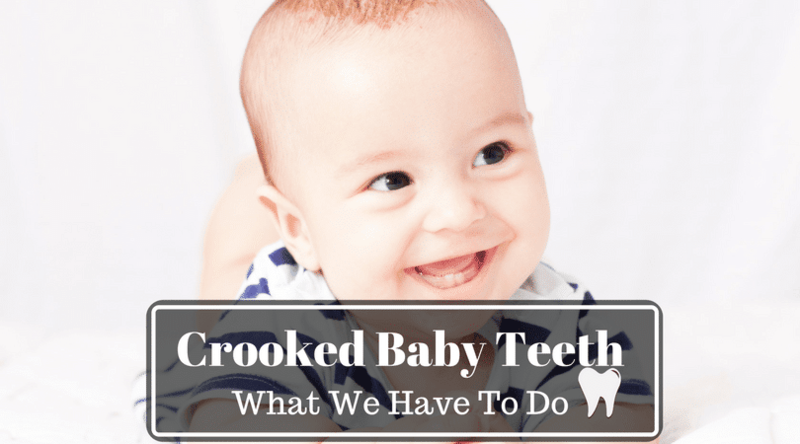 →Baby Teeth Coming In Crooked: What Should We Do? Baby Teeth Coming In Crooked: What Should We Do? A child’s smile is adorable; the teeth’s’ jags, crooks and uneven spaces make that smile all the cuter. But remember: it is not unusual for children’s baby teeth to be a little uneven. If a child’s teeth are coming in crooked, does this mean that the kid will have to use braces when he gets older? What are the factors that contribute to a child’s crooked baby teeth? What can you, as a parent, do about it? A child’s teeth must have spaces in between each other to ensure that each permanent tooth will fall at the right place. Teeth misalignment is more likely to happen with permanent teeth, but there are also cases when the baby (primary) teeth can get crooked. Misaligned teeth are mostly due to a kid’s fondness to take things into his mouth. Prolonged feeding bottle use up to toddler age can result in crooked teeth. Thumb sucking, tongue thrusting can cause some bite problems. Putting toys in his mouth or chewing the edge of clothes can also exert pressure on the gums, causing crooked teeth formation. The habit of biting fingernails or chewing pencils regularly during teething stage can also affect teeth’s direction of growth. Each child develops at his/her pace.One of the reasons children have crowded teeth is due to less jaw space. For most children, there is enough room for teeth to erupt but for other kids, their jaws are still developing. The small jaw is not an immediate cause for alarm since kids are still growing well up to the end of puberty. It is your dentist that can best assess your child and develop a treatment plan your child’s jaw is an overbite or underbite. The shape of a baby’s jaw and the shape of his teeth are inherited from his parents. There are times when the child might get his mother’s large set of teeth and his father’s small jaw. For this scenario, teeth will have less space to grow on, causing overcrowding and misalignment. Do you also know that your child’s preference for a particular sleeping position can affect his teeth and jaw growth? Those small kids who tend to sleep on their stomach regularly put undue pressure on their cheeks and gums. The change to one’s appearance and teeth direction are not noticeable, but years of resting pressure on the face can significantly compress a child’s jaw, causing over teeth that protrude into the front. On rare cases, there may be a cyst or tumor that pushes the teeth in another direction. Cysts and tumors are not easily seen, and it is usually the child’s dentist that first notices this during a routine dental checkup. What Must Parents Do If Their Kids’ Primary Teeth Are Crooked? If your child’s teeth are overcrowded or crooked, good oral hygiene is a must. Ensure that your child brushes his teeth well to prevent the formation of cavities. Crooked or crowded teeth can be difficult to clean. Take note also to regularly floss the spaces in between the teeth. Food fragments can lurk on unreachable teeth surfaces, causing cavities. You have to be particular with hygiene because primary teeth must not fall prematurely. If one or more baby teeth are lost too early, the permanent teeth might wander and lose their original spots causing misalignment once they erupt. It is amazing how your baby’s preference and hygiene can have a profound effect on his teeth growth. Isn’t it about time to double check your child’s oral habits? For your little one to give his best adult smile, you must help him early on. A pediatric dentist can help to intervene should your child’s baby teeth come in crooked. 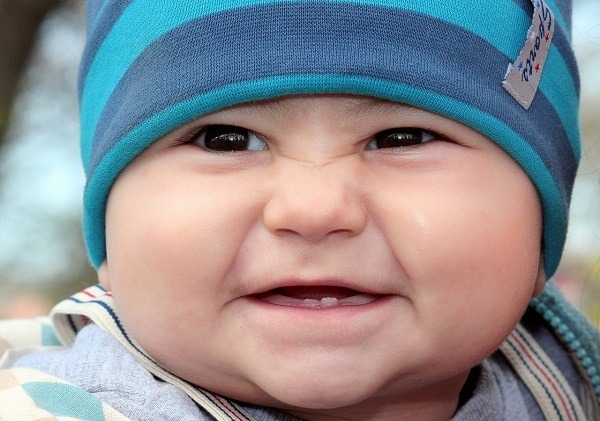 Parents may schedule a dental visit as early as when the first set of frontal baby teeth erupt. Continue these visits to the dentist at least annually. The dentist must check from time to time whether the child’s teeth are being affected by thumb sucking or pacifier use. On rare cases, your little one might need an orthodontic treatment depending on the extent of his teeth misalignment, but as always, it is up to the dentist to decide. Baby’s crooked teeth are still a work in progress. Primary teeth move gradually and align itself during the baby’s first two years. A misaligned set of primary teeth doesn’t immediately mean crooked smile during adulthood. There are still a lot of factors in play; we’ll never know for sure. Hold off your assumptions that your little one will need braces later on. Seek an expert advice from your pediatric dentist first. You will also need professional assistance should your child requires orthodontic treatment. Even the small things that you do can have a profound effect on your child’s appearance and future. Teach your child how to take care of his teeth so that later on, he’ll have more reasons to smile.